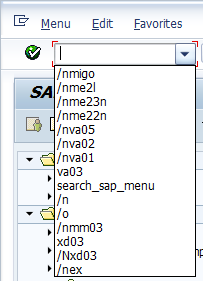 We have created a SAP training tip on some of the basic navigation options to save you some time navigating through SAP screens. Have a look and if you are interested in finding out more about SAP Navigation or other SAP Training for end users feel free to contact us here in Olas. Use /n to exit a transaction and return to the main menu screen. Please note: when using /n the system will exit the transaction with out saving any data. Use /n along with another transaction code to immediately move from one transaction screen to another e.g. /nME23N.